Spring is officially here! As we start to see the flowers blossom and snow turn to rain, it is the perfect time to start decluttering your life! Here are some easy ways to turn your spring cleaning into permanent solutions to living a simpler and happier life! We don’t know about you, but our desktops are filled with several unused apps and programs. By deleting old files, your devices will run much quicker and your display will be less crowded and overwhelming overall! As an added bonus, by using Phonetic computer glasses, you can help reflect a portion of the blue light that is emitted through those digital devices to keep your eyes protected from digital eye strain. 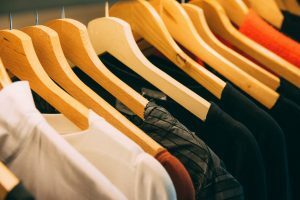 Get Rid of Clothes You No Longer Wear! Channel your inner Marie Kondo this season by getting rid of clothes you haven’t worn in years or no longer fit! Start with one drawer at a time then ease your way through the rest of your wardrobe. Doing this in small doses will make the process less overwhelming. Our lives are filled with work, hobbies and extra commitments to the point where it sometimes seems we can never find a time to take a break. Try writing all of your “to-do’s” on a single list and only pursue the tasks that you absolutely need to do (such as your career) and the activities that bring you the most joy!